If your home in Oak Grove or Kansas City, MO needs multiple upgrades, you could go through the tedious process of choosing a different contractor to install your garage door, upgrade your attic insulation, and complete all of your other projects. Then, you can juggle your schedule to accommodate each of your contractors’ schedules and subsequently maintain communication with multiple project managers. Or, you could avoid these hassles altogether and entrust all of your home remodeling needs to a single contractor, like 31-W Insulation. We not only offer a wide array of home improvement services, but we’re committed to performing each and every one of these services with incredible attention to detail while giving our customers the level of customer service they deserve. For more information, please feel free to contact us. Be sure to schedule a complimentary consultation with one of our home improvement experts who can provide a no-obligation estimate for your new attic insulation, garage door, or virtually any other type of home remodeling product. 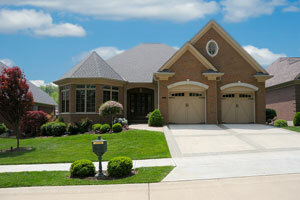 We proudly serve homeowners in Oak Grove, MO, Kansas City, MO, and all surrounding areas.